I thought I would be reporting on a new sort of scam here, like I was a master detective who had cracked the case. I came to realize that the case had been cracked long ago. Still posting so others don’t get sucked in. We’re so glad you found us. Here’s a bit about our journey so far- Our brand started out of Southern California selling at Lobby, a cute boutique in The Lab mall located in Costa Mesa, California. 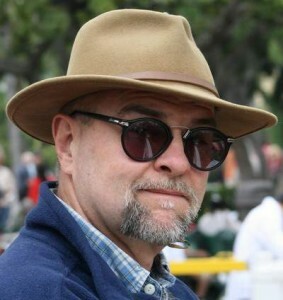 In 2014 Lobby moved to Marcus Gallery in downtown Santa Ana. We loved the vibe of the area so we tagged along and did our own mini shop in the new spot. We outgrew that small brick and mortar location and opened our online store in 2016. Our team is loving life online. So she ordered the skirt. Later she got an email saying that the skirt had shipped…from China. It would be arriving “soon.” A few weeks later, emails to Marigold Shadows “Support” team were answered with generic “we’re looking into it” and “we’ll get that to you soon” replies. So my wife paid someone $80 to order a skirt online in China for $30. The Website and the Aliexpress seller don’t even have to be connected. They just put in the order and your address. Reading the full article is fascinating, and the worst part of it is: this is not illegal (yet) and there’s nobody to complain to. Although Marigold Shadows claims to be a California company, they are not. The California Department of Consumer Affairs can’t act, because there’s no company to act against. I was Assistant Referee for an AYSO Soccer match yesterday. 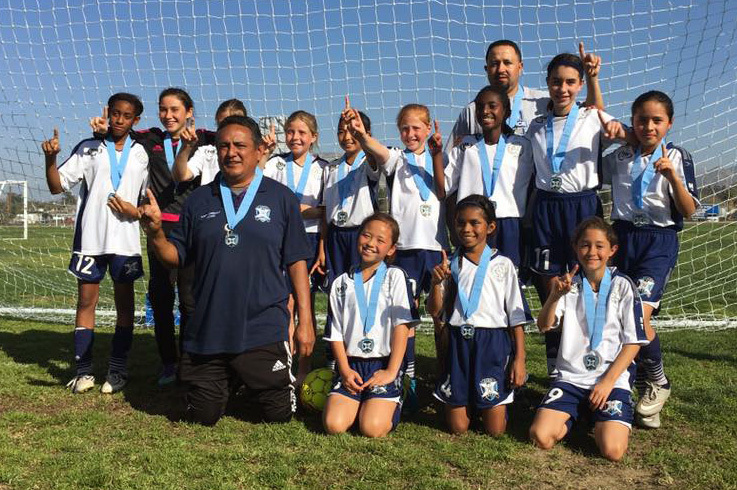 The team on my side of the pitch was “Watts United” and they were playing against the “West Adams Wolfpack.” Oh my! As I ran up and down the field, I listened to the coaches yelling out to their players. I got “frente,” “controla” and a few other words. I didn’t think much about it until afterwards. 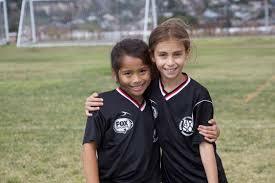 It was obviously all positive, and here in the AYSO that is all we ask. But think about it. 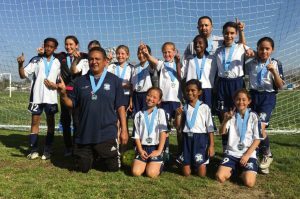 In Los Angeles, a team full of 13 year old girls were being coached in Spanish, and…nobody noticed. What a wonderful thing to be so normal and everyday. 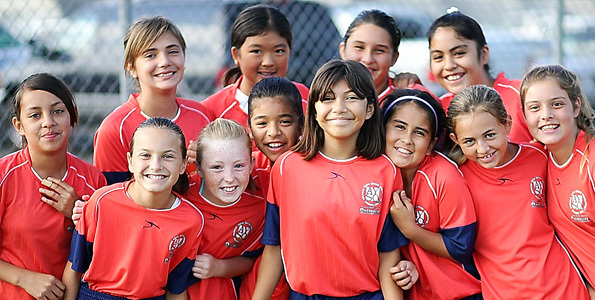 Is it the Spirit of AYSO? The tolerant attitude of Soccer? Is it Southern California and the reality of diversity? I think it’s all of those things that suddenly impressed me. I live in one of the most tolerant areas of a (seemingly) intolerant Country. I love a game that has only entered the American consciousness by forcing suburban mothers to drive their kids to it every week. The kids…they live in diversity and don’t know anything else. See those kids above from North Torrance? They (hopefully) don’t know too much about hate and racism. It’s sad that they will have to learn some day while growing up in this America. For my part, I hope that a few hours on a soccer field, in English or Spanish, will give them some joy and an attitude of inclusiveness they can carry on into their adult lives. 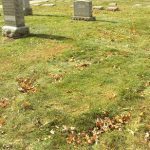 In Norwood, Massachusetts, in Highland Cemetery, there are two unmarked graves. The office can give you a map and show you where they are. They hold John and Mary Caulfield who passed away quite young and left three children in the 1920s. Sounds a bit incomplete, doesn’t it. John Caulfield arrived in the United States on November 1, 1910 from Londonderry on the Furnessia. He gave his previous residence as Fivemiletown, County Tyrone, Ireland. His occupation was Millwright. Perhaps he would be called a Machinist today. He went directly to Norwood from Ellis Island. He presumably had a friend or a job there. Many arrivals on the same boat were from County Tyrone. At any rate, more sleuthing needed. My father and uncles claimed to have records from Norwood, but I have never seen them. But, of course, the unmarked grave! That’s the point, isn’t it. How did he get there. In the 1920s, John Caulfield met and married one Mary Ellis. This did not go over well with Mary’s family. They were what was called, at that time, an “English” Family and Mary was an “English” girl. That sounds quaint, but it masks a level of bigotry that we today can only believe of the rural south and New York slums. Bad enough that Mary wanted to marry an immigrant, but worse: an Irishman. She was cut off from the family and went to live in one small upstairs room on Walpole St. in Norwood. John and Mary had three children: John, George and William. The names are very Caulfield and very Tyrone. 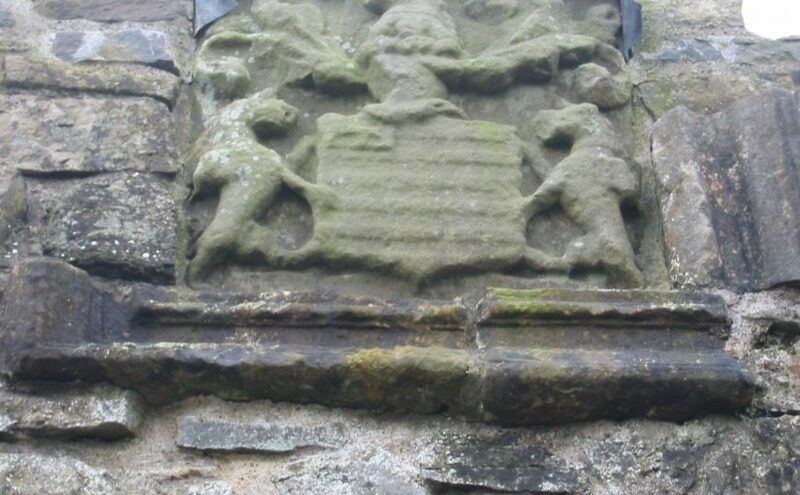 The early Earls of Tyrone were the likes of William and James Caulfield. Of course, John was not related to those Caulfields. …and then they died. In their 40s and no record of how they went. Three children went out for adoption. 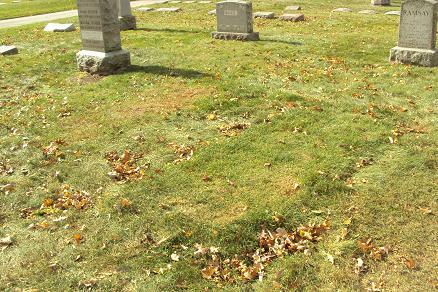 The Ellis family deigned to have them buried in their plot at Highland Cemetery. No marker, to this day. So…on this St. Patrick’s Day of 2017, I’m thinking a bit about my family history. There’s a gap there that needs to be filled. Everything picks up again when my father joins the Navy towards the end of WWII. He had been living with the Murphys of Boston (I know) who had adopted him to make nine boys in the family. I have been back to Ireland, stayed in the Caulfield Bed & Breakfast, walked up and down the street in Fivemiletown and visited Castlecaulfield. I have been to Norwood and seen the plot. Is that enough? Should I contact Norwood city hall or Ancestry.com to fill in some of the gaps? I haven’t yet, so probably never will. Enough to know that my Grandfather came over on a boat; worked, married and died in obscurity; left three sons, including my father. Thanks for that, John and Mary Caulfield.